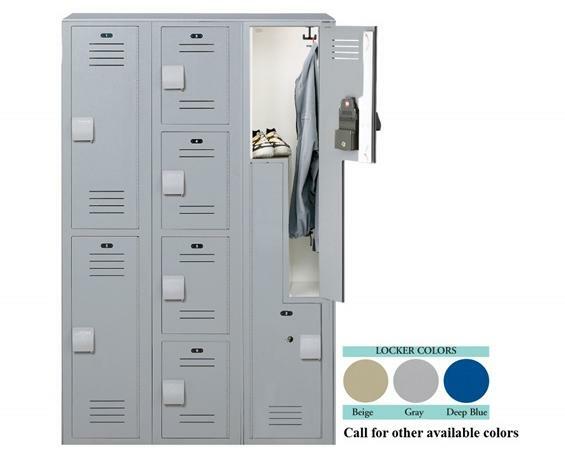 Unlike metal, Lenox® Lockers are made of corrosion proof HDPE material that won’t rust or dent. Lenox features a white one-piece box that wraps around with no screws, rivets or mechanical joints. With a box thickness of 3/8” and colored door and frame thickness of ½”, Lenox Lockers withstand impacts that would easily damage other lockers. The continuous door slide latch is made of ½” thick High Density Polyethylene (HDPE) which secures the entire length of the door. Standard lockers include doors with ventilation slots and handles. 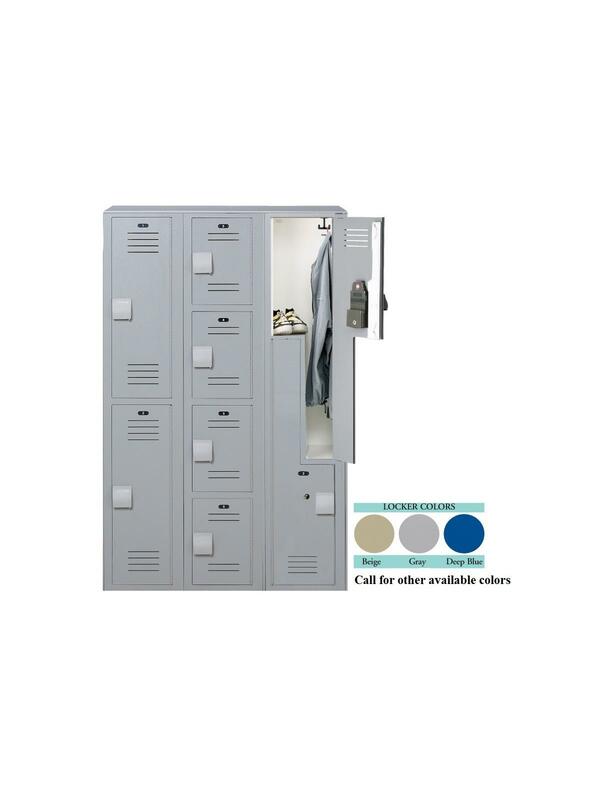 One and two tier lockers include a double coat hook. A shelf is included with one-tier lockers only. All lockers ship fully assembled saving installation time and money. All locker parts and components carry a 20-year warranty against rust, corrosion, denting, bending, and delaminating under normal use. 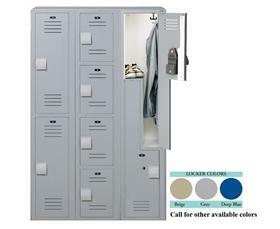 Locker options (sold separately) include End Panels and Flat Tops which finish exposed white sides of locker. Special order options include key locks, combination locks, coin locks, mesh doors, engraved logos, and number plates. FOB Shipping Point. *Note: Other Lenox Locker variations, colors, and pedestal benches also available -- contact us for details. Available in 15 other aesthetically pleasing colors -- contact us for details. See Related Items tab for Lenox® Plastic Locker Options, Pedestal Benches and Number Plates for Lenox Plastic Lockers. 12 x 15 x 72"12 15 72"